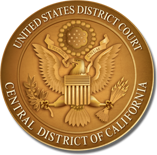 Effective December 1, 2014, the Schedule of Fees for services provided by the Court will be amended to include the $25 processing fee that has long been assessed for each violation notice processed through the Central Violations Bureau. Though Congress authorized the fee in 2005, it has never been reflected in the fee schedule. It will now appear on the schedule as Item 7(f). The amended Schedule of Fees will be available on the Court’s website.